Renaming and rebranding the largest locally-owned construction company in Austin. In 2015 a partnership change necessitated the renaming and rebranding of one of Austin’s fastest-growing commercial general contractors. We were charged with helping leadership at The Burt Group (formerly Burt-Watts Industries) develop a strategy for renaming and rebranding that minimized any disruption in the business itself due to the change, while also creating a long-term solution that can stand the test of time. Rename the company with a focus on continuity. In a business built on relationships, the name on the sign means a great deal. Following intensive market and competitor research, internal team member interviews of a cross-section of employees, we tested this hypothesis against alternatives to build consensus around such a long-term decision. Reflect innovative business practices outwardly with forward-leaning design. 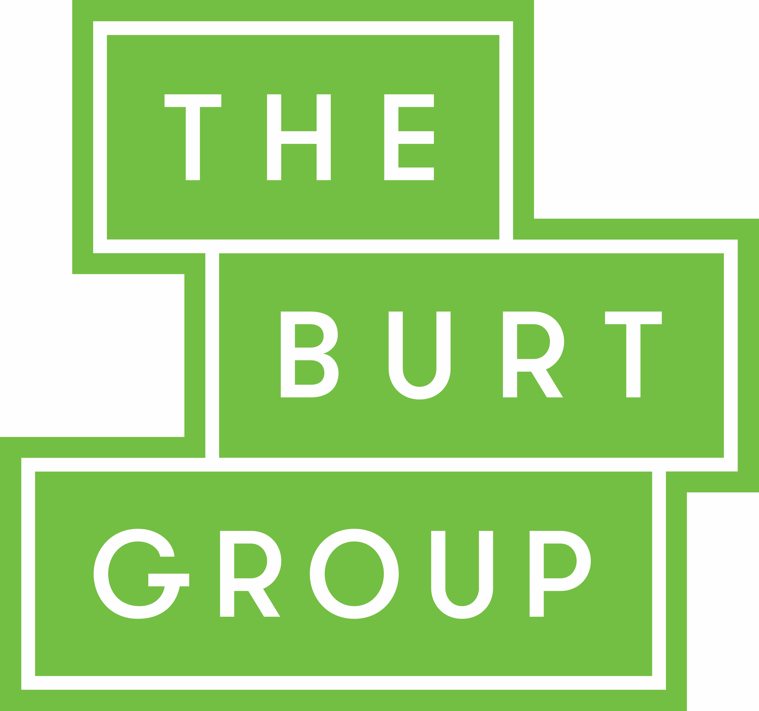 The knowledge gained in the naming exercise helped us to develop a visual identity that was authentic to the innovative methods by which The Burt Group does business. This drives powerful differentiation from competitors in their space, and has helped them build a recognizable brand in Central Texas. The primary goals for their website were to differentiate from competitors, reinforce credibility, and to connect visitors with the quality and scale of the work being done. With decision makers most often occupying C or director-level roles at large corporations, the importance of the website performing beautifully across devices was both a risk and an opportunity. Develop a long-term marketing strategy with performance metrics to guide marketing efforts and infrastructure development post-launch. As a component of our strategy work, we were charged with developing a roadmap for marketing efforts and infrastructure improvements to be carried out in tandem with the Burt Group. This included time frames for initiatives and metrics to measure the success of each program. As a component of the brand launch, we developed a series of newsprints and brochures to help introduce new customers to the brand, and reintroduce The Burt Group to existing clients. Using the words that comprise the name as starting points, we developed a system of building blocks, which combine into a pair of primary logos for use in all required contexts; both in the office and on the job, as well as on the web.